Prostate cancer as a urological malignancy has the highest incidence of bone metastases. Bone metastasis in cancer prostate causes some of the most distressing symptoms. Present research was undertaken to study the trends of prostate cancer patients presenting to one of the largest tertiary centre in north India. It was done to intervene early and prevent skeletal related events. Prospective observational time bound study carried out in department of Urology from Jan 2015 to Dec 2016. Total of 80 patients were included. 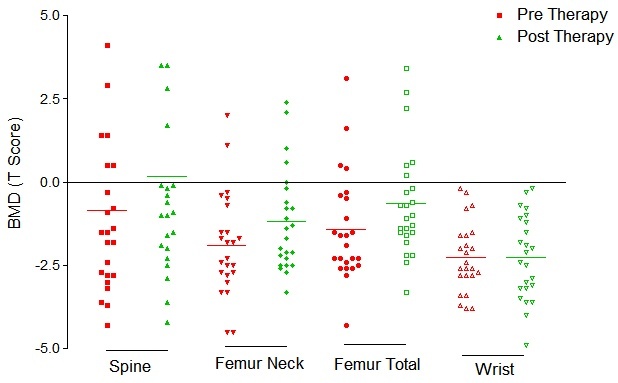 Base level bone health was assessed by Dual Energy X-ray Absorptiometry scans (DEXA) and measured by T-score at spine, femur neck, total femur and radius bone. 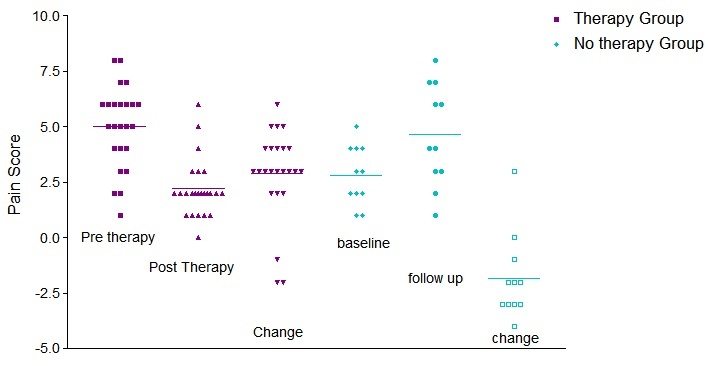 Patient with metastatic bone disease were started on Inj Zolendronic Acid (ZA) and changes in their BMD were measured during follow up. Changes in pain score were assessed on visual pain analogue score (VAS). T score at baseline and after 6 months of therapy was compared using Wilcoxon Signed Ranks Test. Bone health of patients on Androgen Deprivation Therapy (ADT) but could not take Injection ZA were compared with those who were on ADT and monthly Injection ZA using the Mann Whitney test. 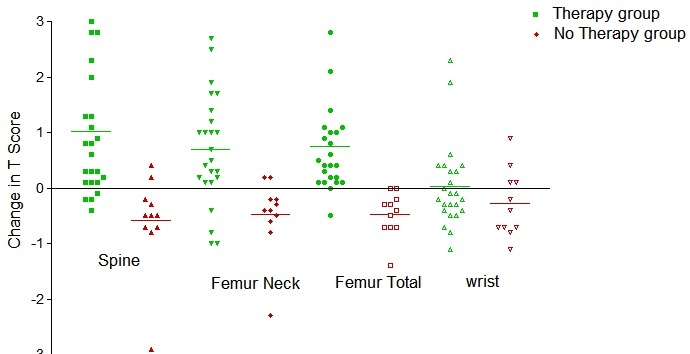 Injection ZA improves the bone health status of the patients both objectively and subjectively as assessed by changes in DEXA Scan and pain scores respectively. Screening programme should be initiated to detect disease at early stage. In this article we have analysed the trend of cancer prostate in patients presenting to us and have catered to their bone health as well. This is probably the first study from India of its kind.